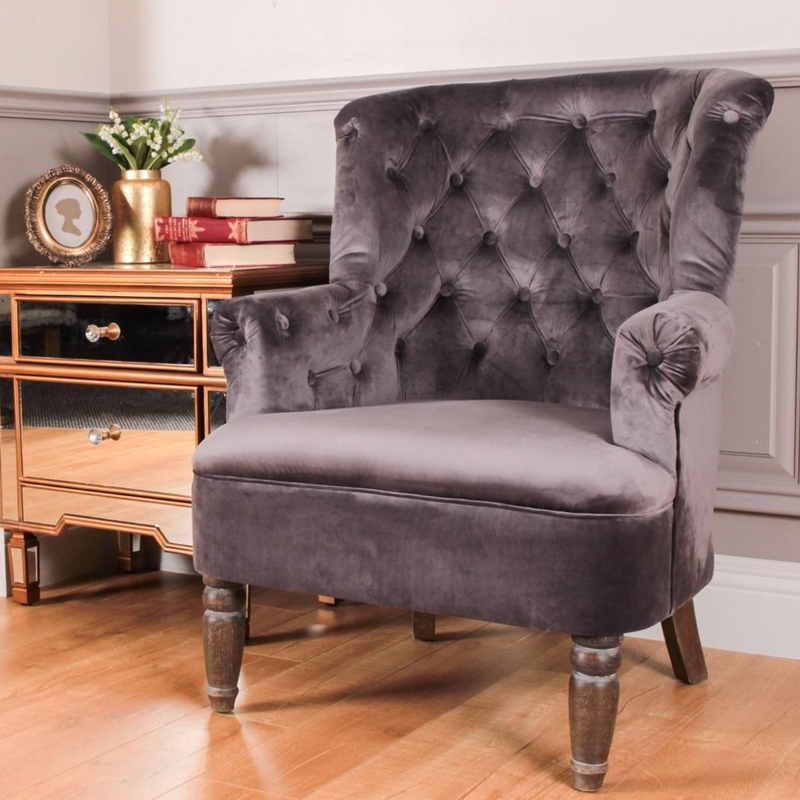 Make your room pop by adding this fantastic grey velvet chair. It would fit beautifully in any type of home, especially a contemporary one. As well as it also has a round, buttoned back. It is upholstered in a warm grey velvet which not only looks gorgeous but is also very comfortable to sit on. This chairs main point is its comfort but also it would be instantly noticed if put into any room with its huge wingback chair.